Welcome to the Gavin MacLeod Collection, showcasing automotive and Airfix artwork by the late Gavin MacLeod. 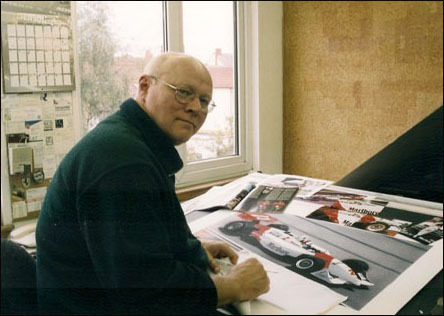 During his career Gavin produced skilled paintings of incredible realism that depicted Formula 1, CART IndyCar, Le Mans and other vehicles. This site, run by the MacLeod family, enables you to examine each painting close up and as a tribute to Gavin we're offering you the chance to buy some of his work. His strength was capturing an iconic, split-second moment, and reproducing the frame in exquisite detail, using fine paintbrush strokes that he combined with intricate airbrush techniques. Where most people would see one colour, Gavin would see a whole array, adding depth and intensity to his pictures. It was a talent best highlighted in the stunning light reflections he produced on the metallic bodywork of the vehicles he painted. 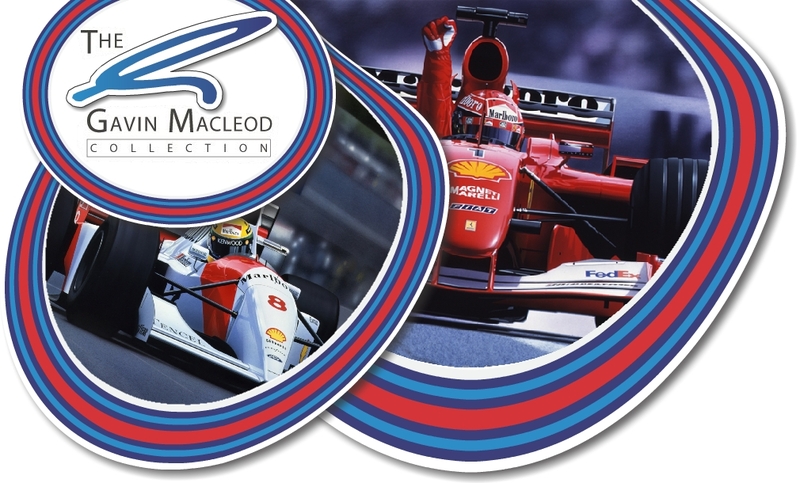 It enabled him to do full justice to the most striking cars of their time – Michael Schumacher's Ferrari that brought his first title with the team in 2000, or the legendary Ayrton Senna storming the Monaco GP in the McLaren MP4/5B. Every image will be printed with the official stamp of Gavin's signature and displayed in an alternative format to previous reproductions, benefitting from modern printing techniques on exciting new substrates. With each sale, 10% of profits will be donated to 'Prostate Action', supporting research into the illness that took Gavin from us in 2003 at the age of just 51. Enjoy browsing the site and if you have any questions or would like to pay your own tribute to Gavin, please feel free to contact us. Thank you - Gavin's family.